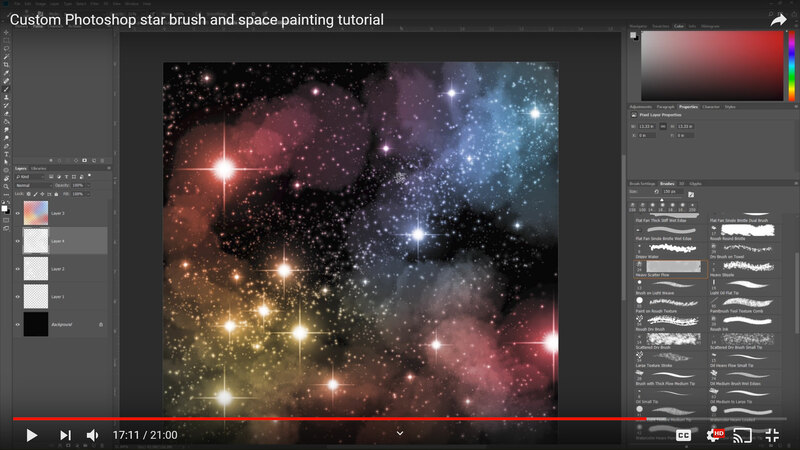 In this tutorial you will learn how to paint a starry nebula. Using Photoshop, you will make your own star brush and adjust the settings to quickly create a high-resolution star field. 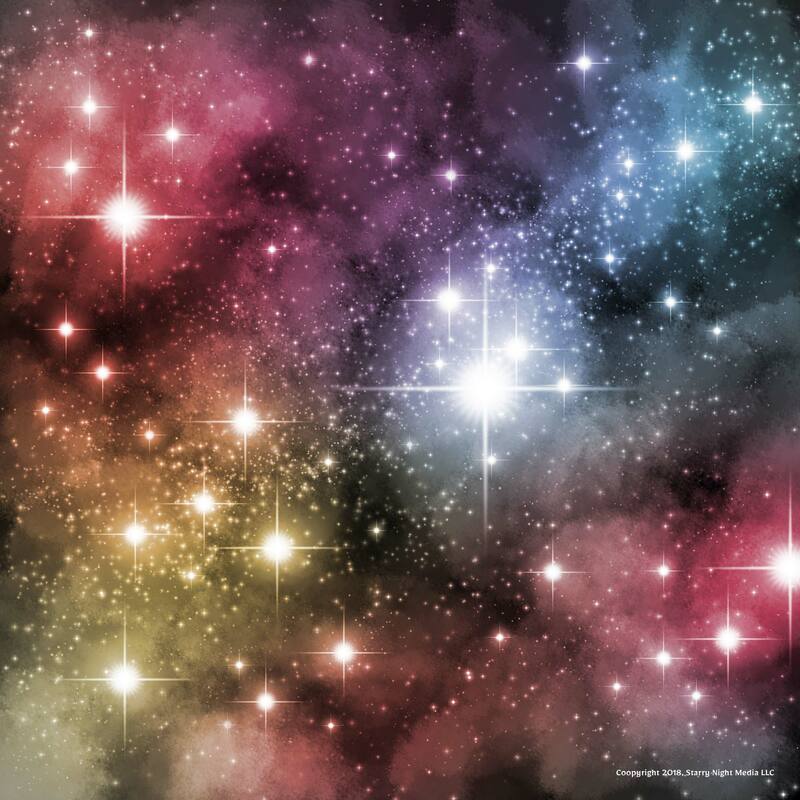 Together, we will use your new brush to paint a colorful starry nebula. To follow along with this tutorial, you will need the latest version of Adobe Photoshop Creative Cloud. An art tablet is recommended. I use the Wacom Intuos Pro. Click here, or the image below, to view the tutorial on our YouTube channel.